Item # 301358 Stash Points: 2,499 (?) This is the number of points you get in The Zumiez Stash for purchasing this item. Stash points are redeemable for exclusive rewards only available to Zumiez Stash members. To redeem your points check out the rewards catalog on thestash.zumiez.com. 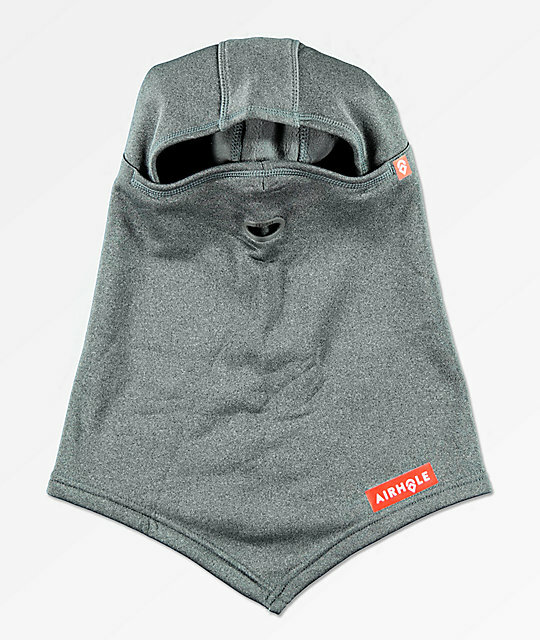 Keep yourself warm and cozy this winter in the slick style of the Airhole Hinge Grey Balaclava. This facemask is DWR coated for premium water resistance and features the patented Airhole technology for maximum breathing ability and minimized goggle fog ups. Step up your facemask game this winter with the Airhole Hinge Grey Balaclava. 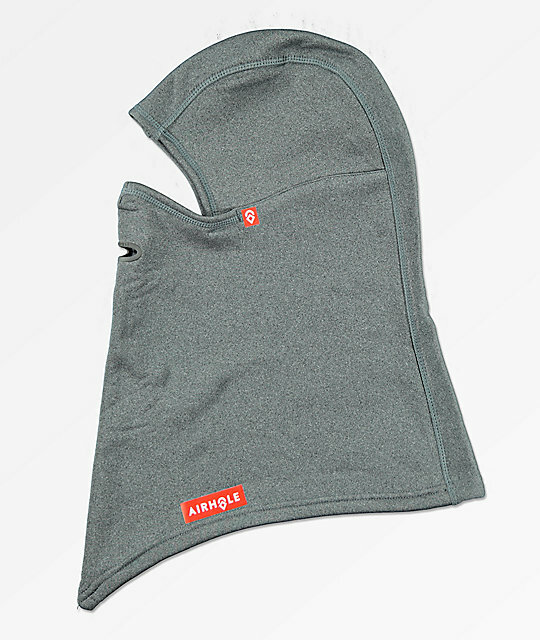 Hinge Grey Balaclava from Airhole. Fleece hooded face mask for skiing and snowboarding. The original Airhole mouthpiece for breathability. 92% polyester, 8% spandex Polar Fleece.